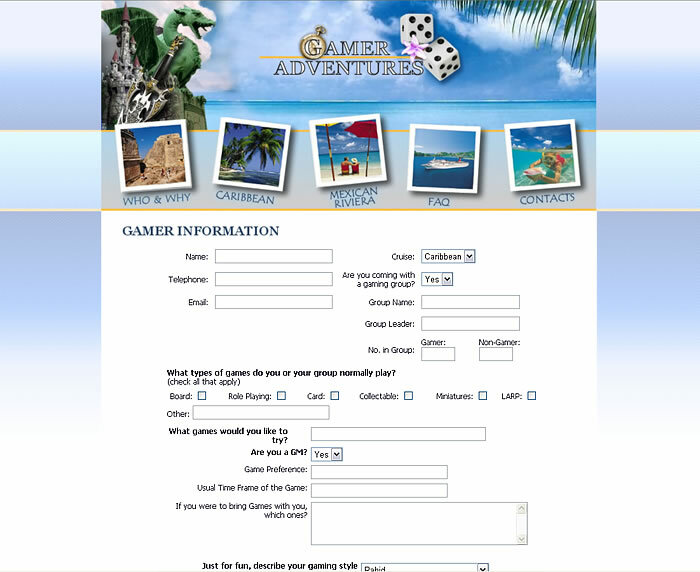 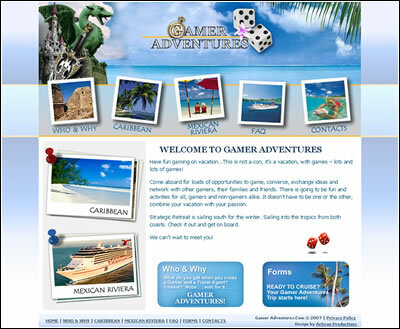 Task: Create a website that offers gamers and their friends a fun way to combine gaming and tropical vacation on cruise ship. 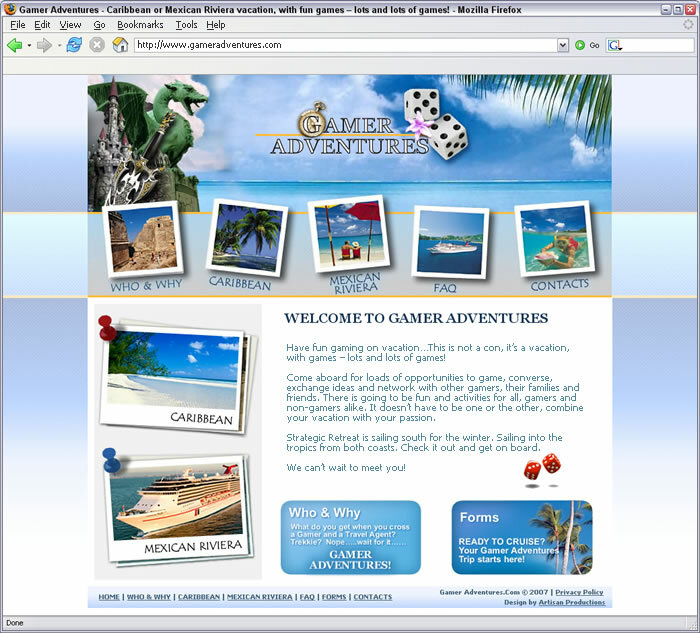 SOLUTION: Artisan Productions developed a fun, cheerful website for a travel agency. 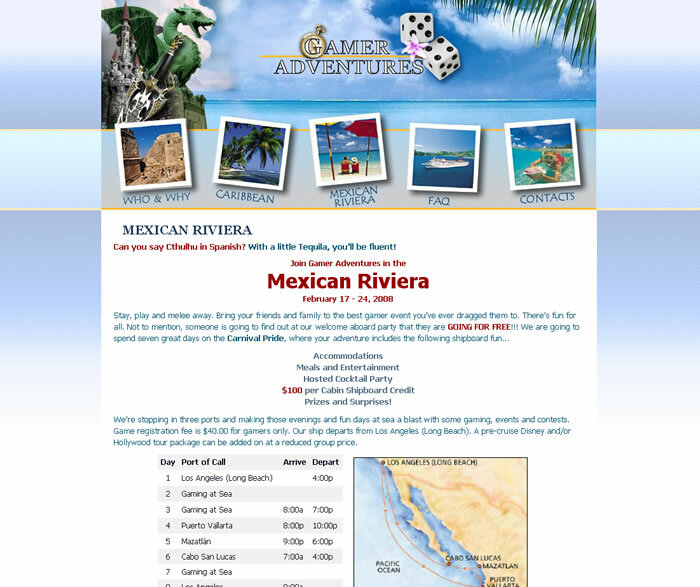 It does exactly what it supposed to - makes you want to get out on the sun, enjoy fresh tropical breathe with a glass of icy margarita. 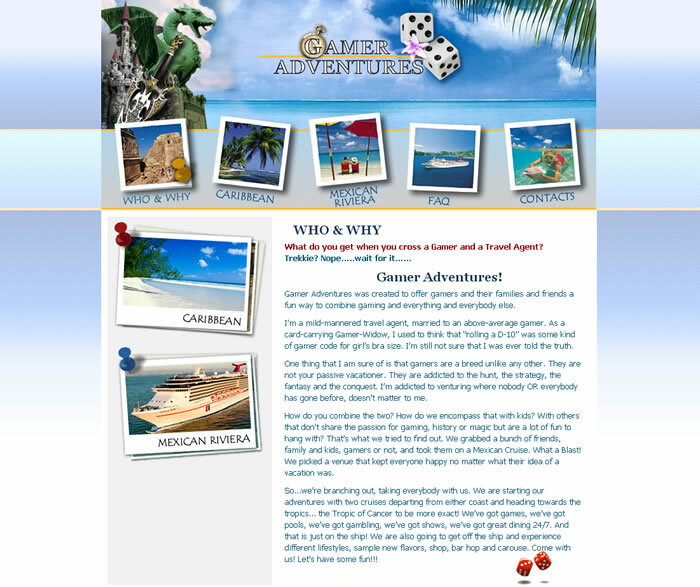 Turquoise ocean, Caribbean palm trees, dice and & board games - it is a gamer's paradise.